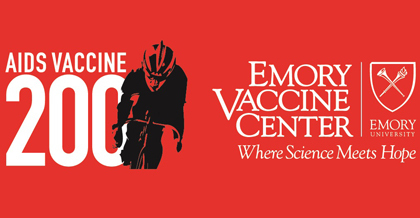 Human Rights Campaign (HRC) Atlanta will honor Action Cycling Atlanta and the annual AIDS Vaccine 200 Bicycle Ride (AV200) with the Dan Bradley Humanitarian Award. The award will be presented at the annual HRC Atlanta Gala Dinner on May 2 at the Hyatt Regency, downtown Atlanta. Each year, HRC Atlanta recognizes organizations and individuals who have tirelessly worked to advance equality for Atlanta’s Lesbian, Gay, Bisexual and Transgender communities. Action Cycling Atlanta (ACA), the producers of the AV200 ride – now in its 13th year – is an all-volunteer organization. ACA has raised more than $1.6 million for AIDS vaccine research through its annual 200-mile cycling event. ACA has donated 100 percent of all money raised by its participants to its beneficiaries, including the Emory Vaccine Center, to raise awareness and funding for HIV/AIDS vaccine research that will one day eradicate the disease. The Human Rights Campaign is America’s largest civil rights organization working to achieve lesbian, gay, bisexual and transgender equality. By inspiring and engaging all Americans, HRC strives to end discrimination against LGBT citizens and realize a nation that achieves fundamental fairness and equality for all. As one of the founders of the Human Rights Campaign Fund in 1980, Dan Bradley distinguished himself throughout his career as a courageous champion of civil rights.